How do I become a member or just check out Catholic Daughters, Court St Louis? Check our Church bulletin for meeting dates (usually the 3rd Wednesday of every month). We meet in the Church Pastoral Center, starting at 7:00 p.m. Just show up, sign the Guest list and by then, someone from Membership will greet you. There is a short social hour, followed by the business meeting at 7:30, which usually lasts about an hour. We hope you will like what you observed, met some nice new people, and ask for an application before you leave. After the application is completed and check for the dues ($35.00 yearly) paid, you can be sworn in as soon as the next scheduled meeting. There is a very simple oath to be administered, a pin to be presented, and a packet of necessary information passed on to you. We would then encourage you to look into the many committees to join and the numerous fun activities to pursue. Participating in some way will guarantee immediate friendships, challenges to grow, and another way to find God in your life. What more can we desire in life! 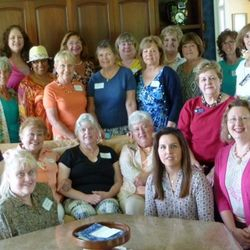 Why should I join Catholic Daughters? 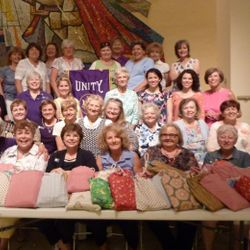 In addition to opportunities at the local, state and national level for fellowship with other Daughters who pursue our mission of faith working through love in the promotion of justice, equality, and the advancement of human rights and dignity for all, Daughters experience the opportunity to give and receive. By giving of your time, talent, ideas, knowledge, dedication, and enthusiasm, you'll receive leadership skills, affirmation, community, broadened horizons, a marked sense of accomplishment as well as many spiritual benefits. You are welcome to attend our monthly business meetings to check us out! We meet the 3rd Wednesday of each month. 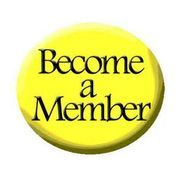 Please fill out the form below and our membership committee will be in touch! Thank you for contacting us. We will get back to you as soon as possible. Please contact Dede Walsh if you have received a notice within 24 hours. and through the presence of the Spirit in our lives dedicate ourselves to the work of this organization. To foster Unity & Charity among all men and women. Through the love of God.